1. First you will need to see if your window opens inwards or outwards. If the window opens inwards, the sash jammer (A) is to be fitted to the fixed window frame. 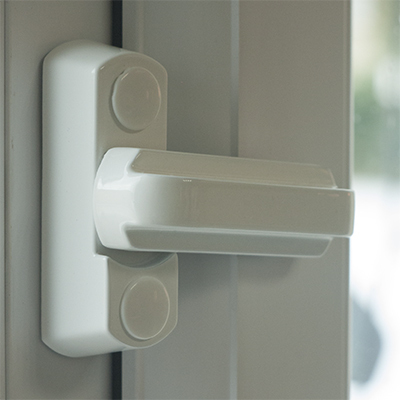 If the window restrictor opens outwards, it is to be fitted to the window on the same panel as the window handle. 2. 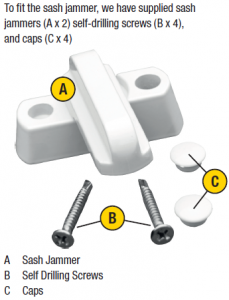 You will need to decide how high on the window you want the sash jammer. We recommend that you have it around half way up the panel.